Top Quality Sinks in Manhattan, Queens, Brooklyn and surrounding Areas for your Homes, Kitchens and Baths. 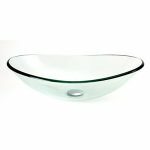 We sell a select variety of sinks of several types. 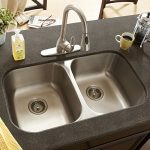 We are kitchen sink retailers and we supply kitchen sinks and bathroom sinks. 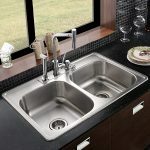 We carry very high end sink brands, including: BLSM, DWL, and DreamLine. Whether for the kitchen, a bathroom, or the laundry room, our sinks are highly regarded. Our high end bathroom sinks are quality additions to the bathrooms of any home. Under-mounted sinks, over-counter mount sinks, and more. The solid and classic lines of the BLSM line of sinks are what make our BLSM sinks functional works of art. For bathrooms with genuine expensive marble, slate, or orange peel counter tops, it is ideal to install one of our many under-counter bathroom sinks. And, it also is very nice in a stark, traditional, continental decor. For sanitary goodness with a bold and beautiful look, our Vessel Lavatory sinks are instant classics. The completely transparent tempered glass Lavatory sink comes with a shiny chrome ring. 16 1/2″ diameter x 5 5/8″ high. 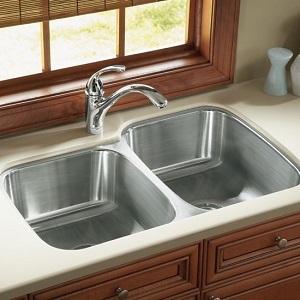 We have 50 kitchen sinks of different kinds and also utility sinks. These are drop in kitchen sinks. These sinks are all produced by DWL. The 6HA4 2522 comes with mounting brackets and a cutout template. It is made from heavy 20 gauge stainless steel with satin finish. LifeTime Warranty. It is 8″ deep, 25″ wide, and 22″ long. The 6HA4 3322 made of same stuff as the Large Single Oval above, and also includes Undercoating and Sound Padding that reduces noise. It is 8″ deep, 33″ wide (14″ square sinks), and 22″ long. The 6HA2 3208 is a narrow, long sink made from 18 gauge Stainless Steel. Otherwise all the same features as the Double Square above. It is 6″ deep, 32″ wide, and 8 1/2″ long. We have five kitchen sink types that mount underneath the counter top. They are all made from heavy stainless steel. There are several, but we give details of two types here. The 6HA2 3320 is a double sink, with the larger sink on the left, smaller sink on the right. It is 10″ deep, 33″ wide, and 20″ long. 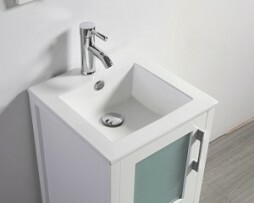 A smaller variety of sink, same as the 6HA1 Series, except in a smaller size. The 6HA2 1120 is a small under-counter sink that is used in home wet bars. It is 8″ deep, 11″ wide, and 20″ long. 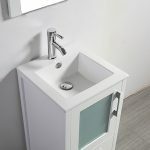 If you are ready to upgrade to top value with quality fixtures, give us a call or email us to discuss your needs and see if one of our sinks will solve an aching itch you have had with your sink.